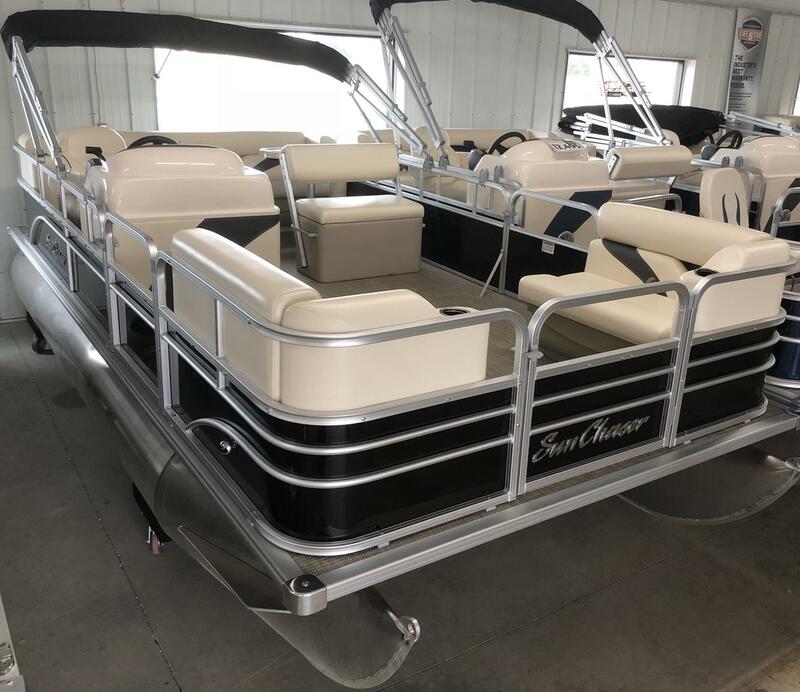 This stylish and affordable new 18 foot Sunchaser pontoon comes with a 20HP Mercury 4 Stroke motor (other engine options available). 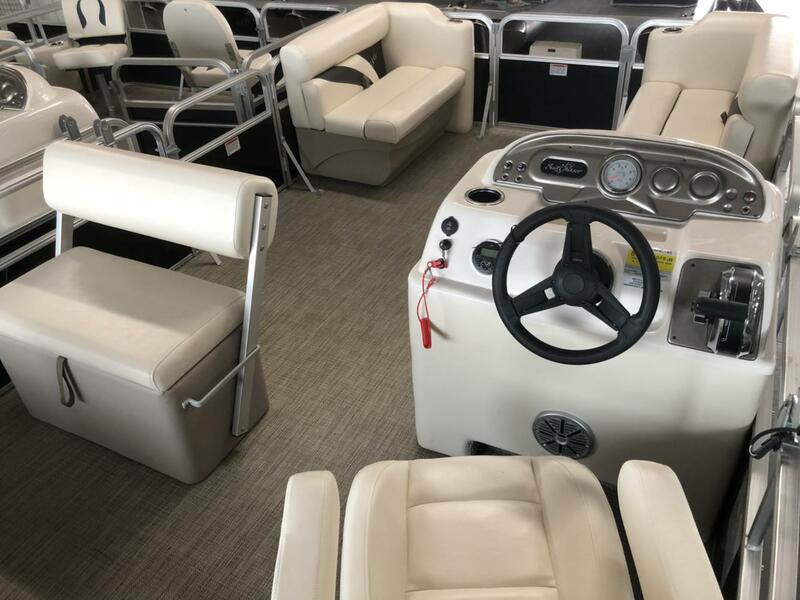 It also comes with a bimini top, removable table, flip back co-captain seat for forward cruising or for eating lunch/playing cards, bluetooth stereo, full seating and lots of other options. 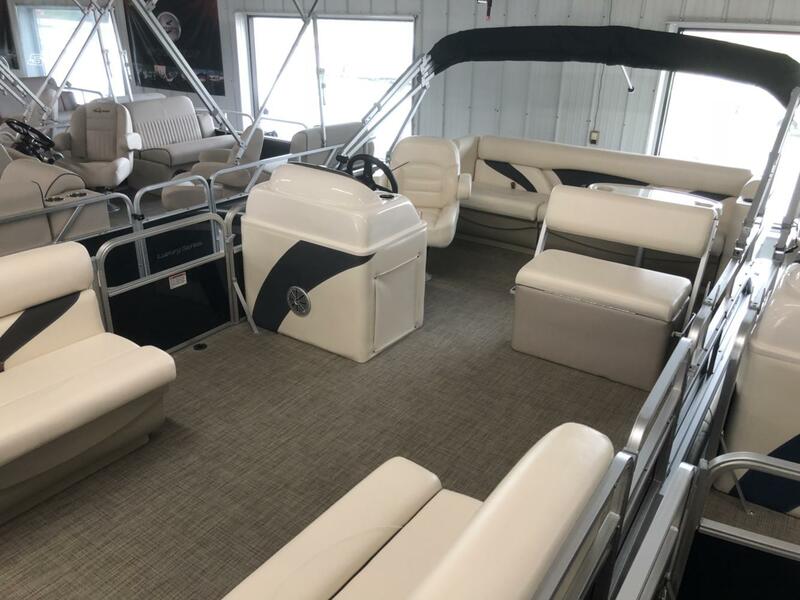 Our pre-season bulk purchase on this 18' model allows a choice of champagne, blue or black exterior subject to availability. SYLVAN/SUNCHASER: The Industry's Best Warranty. 4-POINT DECK TO HULL FUSION Sylvan deck brackets have 4 points of fusion for an extended area of contact with the tube. In addition to providing increased strength and support, this reduces frame twist and racking in rough water and guards against tube fatigue. TUBES Tubes are made with one-piece .080" gauge aluminum with full-length keels and sturdy deck risers. Backed by a Limited Lifetime Warranty. FENCE AND RAILING Features foam backing to prevent rattling and fully welded and anodized railing to add strength. Anodized welds are never painted. It's all backed by a 6-year warranty. 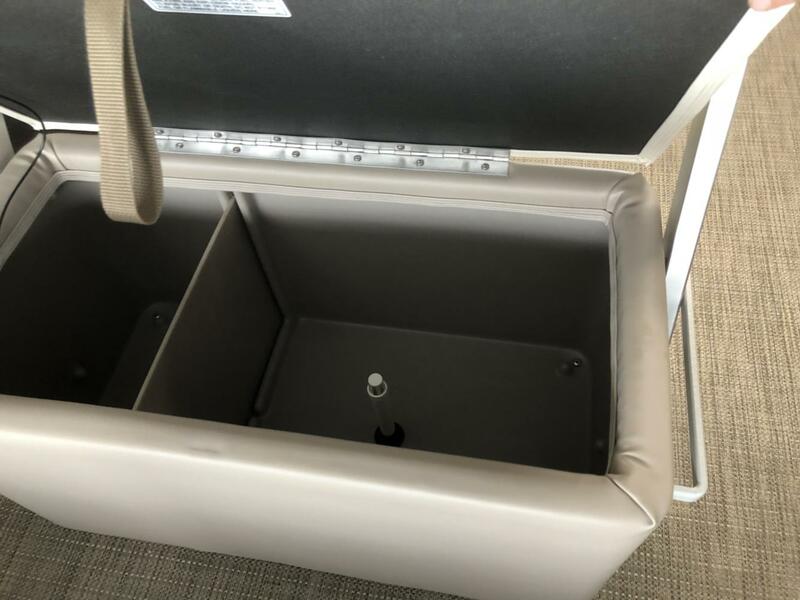 A one-piece body with an all-welded transom is built with .190" gauge aluminum and metal boxed channel on the inner transom A pre-drilled motor mount attached with 20 bolts allows for the heaviest, high horsepower engines.